We talked to Joy Crabtree, a licensed psychologist with Cook Children's, about suicide and children. She discusses the warning signs and how to discuss this topic with your child after a suicide occurs in your community. We hope you find it helpful. Suicide is a very difficult issue to understand. When a teenager or young person is involved, it can be even more difficult to process and comprehend. A young person with a history of depression is obviously at a greater risk of suicide. Parents want to be alert for any changes in their adolescent’s typical behavior. They may have been very active in sports in the past, or band, theater, or cheerleading, and now are less interested or involved. They may be isolating themselves, not only from family, but also from friends. Motivation may be dropping, along with grades. You may see sleep patterns change and the teenager may be sleeping for extended periods of time and be difficult to wake in the morning. One may also notice their need for sleep is decreased or they are having difficulty falling asleep. Appetite may change as well and they may eat a lot more or a lot less, and actually be losing weight. If a young person is talking more about death, dying, and have a sense of hopelessness, that is a big concern. 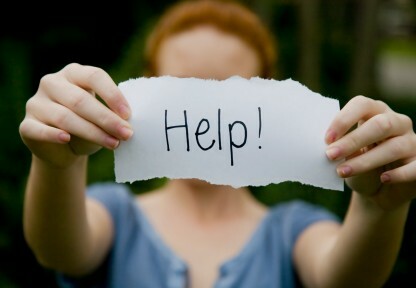 Drug use and other impulsive or risky behavior can place them at a greater risk of suicide as well. When there is a suicide in a community, parents should discuss it with their kids, particularly since they have likely already heard about it at school or from friends. Use it as an opportunity to discuss their possible feelings of grief or confusion and be a listening ear and support them. Additionally, parents can ask their child if they have ever had any extreme feelings of sadness or thoughts about hurting themselves. If current feelings about wanting to hurt themselves are acknowledged, parents should let their therapist or psychologist know right away. If they do not have a therapist or psychologist, or they are not available, they should be taken to a local mental health facility or hospital emergency room for an evaluation. Even if a young person does not have a desire to harm themselves, their feelings of grief and sadness about a peer’s suicide can be significant, regardless if they were a close friend or just an acquaintance. Again, be a support for them and encourage them to discuss, and work through their feelings. Answer any questions they may have and explain, if appropriate, any similar feelings the parents may have as well. This may also be an opportunity for the adolescent to make a positive out of a negative experience. They may consider starting a grief support group, work on a memorial for the person who has passed away, or engage in volunteer activities. Sometimes putting feelings of sadness into positive activities can be helpful in the grieving process. Above all, parents should be “tuned in” to their children. When unusual behavior changes are occurring, ask about them. Additionally, reassure your children you are always there for them, no matter what issue they are facing. If you feel your child needs help, please call 682-885-3917 for a referral into Cook Children’s Psychology department. Joy Crabtree, Psy.D., a licensed psychologist for Cook Children’s, sees patients at Cook Children’s Urgent Care and Pediatric Specialties in Southlake, the first such pediatric facility in town. Previously, she worked seven years in Denton at Cook Children’s Psychology. She moved to Southlake to be closer to home. She sees patients Monday through Thursday, and on Friday she evaluates patients for conditions such as ADHD or autism Joy is married to Tim Crabtree and they have three children. If you feel your child needs to speak to a psychologist or psychiatrist, talk to your pediatrician or call 682-885-3917.